Jamie studied part-time for seven years while playing defence for the ‘Roos, where he is part of the club’s leadership group. We found out how Jamie managed to balance study and football and what his hopes are for the future. You completed your degree in 2017 – what was your experience like being an AFL player and a student? I’m a nerd and I like learning new things. For me uni has opened my mind up and made me realise there are so many things I don’t know. And that the more I can learn, the better I’m going to become. I found studying to be one of my biggest strengths while playing footy. It’s been an escape that I’ve needed from the mental pressures of AFL. And while I’m not one to walk down the street and get recognised all the time, it does feel good to go to Uni, sit at the back of the lecture theatre and just be a uni student. While you’re at uni, you’re just learning. You’re not worried about your running patterns, whether you ran a bad time, or whether you’re going to get dropped. If we had played a poor game, I’d go home, knowing I had an assignment due in two days. And I could just switch off from footy and not think about it. I could do my uni work or listen to a lecture. Whereas other guys would go home, sit on the couch and be stressing about their performance for the next five hours. It was that ability to switch off that had a massive impact on my footy and gave me balance in my life. What led you to do a BCom at Melbourne Uni? My Dad is a stockbroker and I was really interested in finance, so it felt natural to do a commerce degree, and just see where it would lead. I deferred my first year in 2010 because I got drafted, and just settled in here to North Melbourne. So, 2011 is when I started the course and it’s taken me seven years to knock it all off. 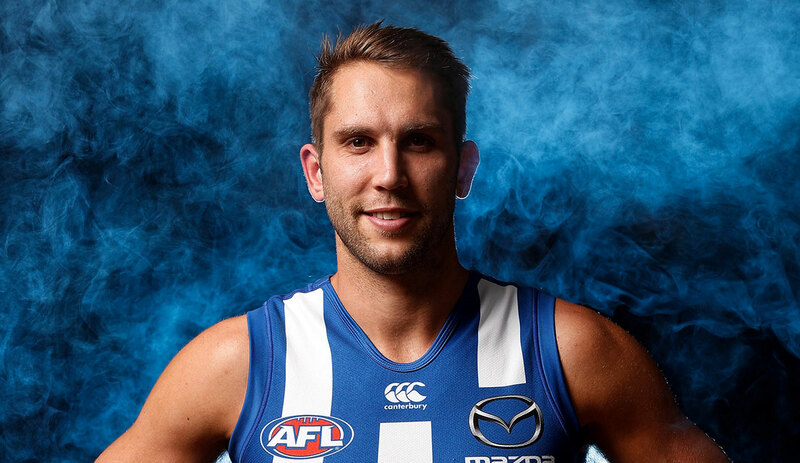 How did you manage the demands of being an AFL player with being a commerce student? 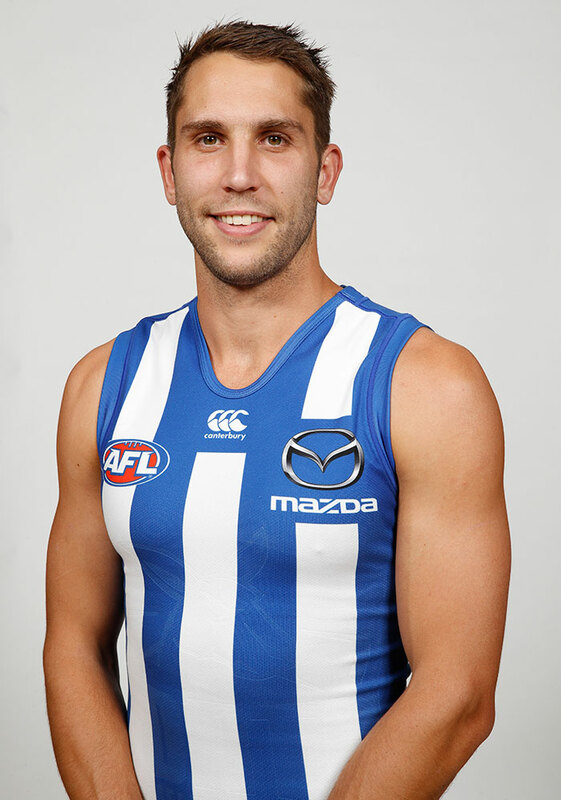 Jamie Macmillan plays in defence for the North Melbourne Football Club. It’s something that I just learnt along the way. It was just a whole lot of planning, which to be honest, I like doing. I started off doing two subjects a semester, and as the course got progressively a bit harder and a bit more time consuming I dropped back to one subject a semester. I did 24 subjects, and I sent 24 emails to each subject coordinator, or lecturer, before the subject started, or when we had to enrol, just to let them know my situation. I would find out if any of the lectures were recorded, because there were a lot of times when the lecture would be at 11 o’ clock in the morning, and I couldn’t get there because of training. I can honestly say I listened to every single lecture, in every subject. I always went to the tutorials. We get four hours off, generally on a Tuesday or a Wednesday, then one day off, so pretty much I just mapped out the 12 weeks of uni with all our days off, and just found a time that I could always go to the tutorial. The University of Melbourne has an Elite Athlete Program for student-athletes. How were you supported by the program? It was the peace of mind, knowing that I had their support to achieve what I wanted to achieve, whilst also achieving what I wanted to achieve out here at footy as well. I knew that if something went wrong, I could always lean on them. They always said to me, if you’ve got things on and you need an extension on an assignment, let us know. But I can honestly say I never had an extension on an assignment. I didn’t want to feel like I had special treatment. But it was always great knowing they were there, to know that if things weren’t working, or if I was a bit worried going into a semester, I would email them for advice. Now you have finished studying, what are your plans? I really enjoy seeing other people achieve. Helping lead people and get them on the right track to help them achieve their goals is something I’m passionate about. I am quite interested in management and strategy, so I might end up in business strategy, or an operations sort of role in sport. I have been doing a bit of that kind of thing with the football club – setting up their new women’s team and I’ve really enjoyed that. One of the things I’ve really enjoyed with working on the AFLW, is that it is small right now but it’s got the potential to get so big. So, I would like to be involved in something like that - whether that’s at a footy club - helping win a premiership from an operations side of things, or whether it’s in AFWL, or whether it’s in a small business that’s trying to go public, going from a 10-people organisation into a big business – something like that is what makes me tick. Find out more about the elite athlete program at the University of Melbourne. Jamie Macmillan and his partner, Olivia Turnbull.